Jean I. Tchervenkov, MD, FRCSsC, FACS, is Associate Professor of Surgery at the McGill University Health Centre in Montreal, Quebec. He is currently the Director of Live Donor Kidney Transplantation Services at the Victoria Hospital and Director of Pediatric Transplantation at The Montreal Children’s Hospital. His main research activities are in the areas of solid organ transplantation and immunosuppression. 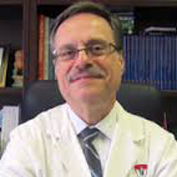 Dr. Tchervenkov has over 100 publications in peer reviewed medical journals and has presented over 150 abstracts. Dr. Tchervenkov graduated from McGill University, and came on staff at the Hospital in 1990. He is President of MD Specialists in Montreal.